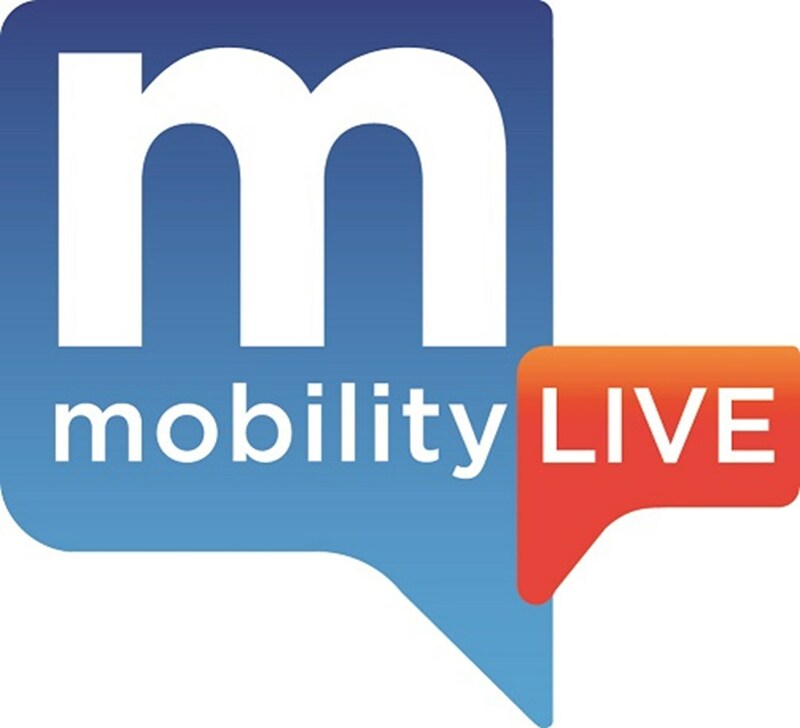 So this was a cool little surprise that I learned about a month ago that there was going to be this conference called Mobility LIVE! in Atlanta hosted by the good people of the Metro Atlanta Chamber. The conference runs for two days bringing together some of the most influential companies together to share their thoughts on mobile technology, and how they’re companies are “mobilizing” to both capture the opportunity and address it. Mobile’s obviously not new, and it was touted as the greatest inflection points since the invention (or coming about) of the internet. From Jaspal, the opportunity in mobile lies in “speed to science”. That is, the ability to empower epidemiologists in the field to quickly analyze data. The CDC, as many people are aware of the Ebola outbreak in Africa are hearing about, must deal with lots of issues around analysis and the speed to which they can understand pandemics. The U.S. is obviously incredibly structured with robust communication lines. In Africa, these are luxuries nowhere to be found. From Margaret, Merlin Mobility sees her company’s endeavor into Augmented Reality as a key piece in the future to empower largely two functions: sales and training. From a sales perspective, contractors or merchants can super-impose images of potential products and how they fit thereby enabling faster, more effective sales opportunities. Very interesting to see how they’re also working with companies in the entertainment industry (like amusement parks) to engage customers in situations like long queues. I got a chance to catch up with Margaret later in the day, and she didn’t mention “marketing” explicitly, but she does see marketing as a function of sales, just much earlier in the funnel. Per Matt, Home Depot sees mobile as an additive experience/ tool for consumers in the stores. For many retailers, mobile means “showrooming” and lost sales. For Matt, he sees mobile as a way to empower customers who walk into Home Depot’s 2,000 stores as means to search for products, validate products, and ultimately, make a buying decision. 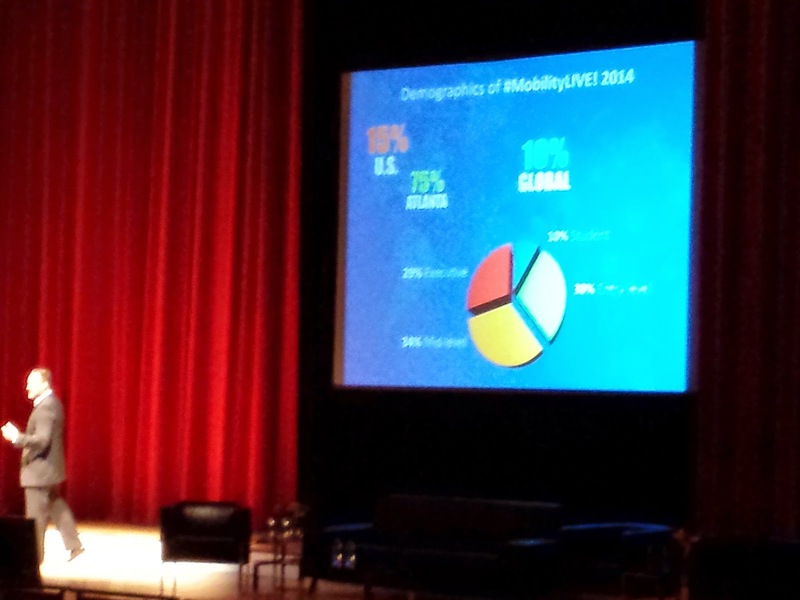 Anthony (“Tony”) of BitPay sees mobile as a very young, nascent world in payments. Many payment processing startups and companies are built on credit cards which was largely structured 50, 60, 70 years ago. The world is changing to embrace more digital currencies where open structures will dictate real regulation versus the highly lobbied regulations of today’s financial institutions. There’s a feeling of excitement and apprehension to Apple Pay – Apple’s solution/ foray into mobile payments announced during Apple’s recent Worldwide Developer Conference. The general feeling is that Apple has a way of creating markets and creating inflection points where previous companies may have struggled to get significant handholds. However, there’s still lingering effects of Apple duds including Apple Maps that reminds these Execs that not everything Apple touches will turn to gold. Tony sees Apple Pay as a great enabler for larges swathes of the market to start embracing their mobile phones as means for payment. He likes to look at emerging markets in this respect as in many emerging markets, most people don’t have bank accounts. Bank accounts are for the wealthy. However, everyone has a cell phone, and for many citizens in emerging markets, payments can include the exchange of minutes. Mitigating against the risk of Amazon or other ecommerce sites, Home Depot cites its competitive advantages as actually BEING those 2,000 stores. It gives Home Depot incredible reach and localism where they may branch into more delivery options beyond just the “ship-to-store-for-free”. Instead, they may start exploring “ship-to-consignee” from its stores. That is, each one of its stores may be mini-distribution centers. Now, imagine how great that would be for its network of professionals and contractors – who account for 33% of Home Depot’s business – that may need delivery of goods same-day. Talk of drones? Meh. It’s cool, but there are some heavy regulations on that. And besides, delivering a book is cool, but delivering a “bumper” would be bit taller (higher?) task. Margaret sees a growing desire for hands-free applications including leveraging augmented (and virtual) reality technologies. Things like wearables including Google’s Glass are just the tip of the iceberg now. Tony sees the next great wave of opportunities in globalization/ global commerce. The challenge for this today is transactions (payments) across borders. With digital currencies like Bitcoins, those challenges can be greatly addressed. Hack-Back Invitational Finalist presentations… for the last 30 days, teams create hacks (technology solutions) to address problems for three major social enterprises home-based in Atlanta – American Cancer Society, Boys and Girls Clubs of America, and Points of Light. For the American Cancer Society, it looked like the major problem points/ opportunities they tasked teams to do was utilizing technology to connect the community of the Cancer Survivors Network (CSN). That could include opportunities connect those undergoing treatment, those who have undergone treatment, survivors, etc. The Boys and Girls Clubs of America looked to showcase the positive effects of clubs as part of its programs for prospects, members, and those affiliated with the members (including family members, friends, etc.). Hacks were largely built around club discovery and showcasing those who have stories from their experiences and how they’ve leveraged those experiences into their present. The Points of Light organization seemed to want to address areas including getting involved via volunteer opportunities and creating greater awareness of the organization’s efforts. Great to see so many hackers on the finalist teams with what seemed like other non-entrepreneurial backgrounds. Some teams were formed from their work colleagues who just wanted to work together to help solve these problems for great organizations. One of the Magentic teams showed off its cool augmented reality hack as a way to raise awareness of the Points of Light historical landmarks. That is, if you were in D.C., for example, you could hover your phone (with the app) over a point of reference such as a landmark, and get a super-imposed image of a famous figure to share his/ her historical achievement. Their vision was to also sell “coins” so you could really learn more about different landmarks and the like without having to actually travel. The proceeds from selling these coins would go to Points of Light. Other interesting things included the Tino Mantella (CEO of the Technology Association of Georgia (TAG)) speaking after the Hack-Back presentations about the outstanding demand for engineers and programmers here in the state of Georgia. Many CIOs are citing 6 months to fill some programming needs. Overall, the conference has been positive, and it’s great to see a lot of large, established companies come together to share their visions on the mobile front. The conference hasn’t been without its hiccups (mostly technical, ironically enough), but it’s in its 2nd year, and looks promising for future set-ups. Though, I’m a little disappointed there aren’t more sessions specifically about startups and innovation as well as even a tour of Tech Square so close by. Either way, I’m excited for some great speakers and panels tomorrow. Hopefully, I’ll continue to make some great networking connections, and get some interesting inspiration for what’s coming Tomorrow. What are your thoughts on any of the findings above? What questions do you have or would you ask any of these companies? Before Starting a Business from Your Passion, Can You Stand It If It’s A Hobby? I read a lot. Not books, but I read a lot of articles and blog posts and the like. When I do, I try to diversify a bit of what I read, but inevitably, I tend to read those that are more or less related to entrepreneurship, leadership, psychology, etc. Naturally, they tend to sound very similar to one another in some way, and I doubt mine is too different – except, sprinkle in some of my anecdotes and writing style. So recently, I read a post about a corporate suit-turned-chef – “Fulfillment & Restoration Of The Soul”. But it tasted similar (see what I did there?) to other “pursue your passion” posts with a couple interesting points but one that really stood out. That is, the ending left me with a very, very interesting thought. So much so that I can’t get over it, and I have to write about it now – several hours after I read it but far before the Wednesday this post will eventually be published on. “Maybe the trick is to make your passion a hobby first and see if you’re finding peace in it.” – simple, right? A bit of an oversight on my part because whenever I wrote about passion-pursuits and the like, I always felt that it was superfluous to say, “it’s a hobby” or that you’re “living it”, when that’s not the case always. It really SHOULD be explicitly said. At least, that’s how I view it. The way I’m interpreting this enlightening, yet maybe not so profound (? ), piece of advice is simple… is your passion even something you can do as a hobby? Is it something you can find yourself doing repeatedly? Are you actually happy doing it repeatedly? Again, probably not so profound for you, but it’s interesting because as much as I think I know some subjects, it’s great to look at “familiar” things from another perspective and learn about it that way. Okay, so you’re probably thinking, “Daryl, what the fudge are you talking about?” (Yes, those exact words.) Bear with me. I think the writer here is telling the readers to really try this “passion” that they feel they have. Sometimes, passions are really great interests, but not something you truly want to pursue. Kind of like these winter melon pastries I get from the Philippines. When I get a couple packs, I freaking love them and will devour them in minutes. However, when I get a big bag of them, after a few packs, I’m disinterested. It could even be something as simple as you love doing it, but you don’t want it to become your life. You don’t want that passion to creep into a business where now you live and breathe it, and then it ceases to be your passion. If you really, really love doing analyses and cutting big data, and you think big data is your passion or social media marketing or technology are what drive you, make it a point to integrate elements of those in your life everyday. How’s that feel? Still excited? Are you finding yourself not that interested in new techs, new apps because you think you’ve seen them all? Then maybe technology in the marketing space isn’t where you should pursue an entrepreneurial endeavor. http://www.daryllu.com/wp-content/uploads/2018/10/entrepreneurial-ninja_logo_sm.png 0 0 Daryl Lu http://www.daryllu.com/wp-content/uploads/2018/10/entrepreneurial-ninja_logo_sm.png Daryl Lu2014-09-17 14:25:002014-09-17 14:25:00Before Starting a Business from Your Passion, Can You Stand It If It’s A Hobby? Does it really matter? Maybe. My view is really that at the end of the day, we make do with what we’ve got. I’ve got that little piece of paper with “Master of Business Administration” and my name on it. I’ve also founded a startup and worked with several others. So maybe I have one of those amazing perspectives cuz I’ve been on both sides. 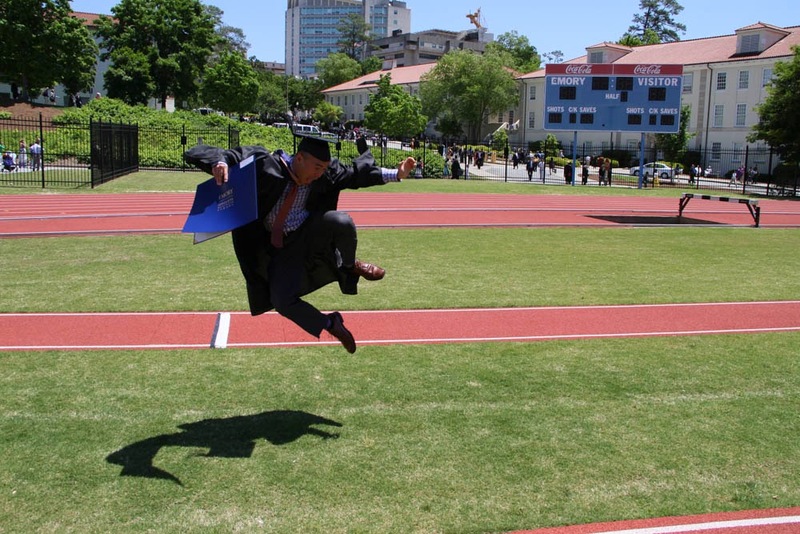 At the end of the day, the MBA was a great experience. Learning all these different subjects like Finance, Accounting, Marketing, etc. isn’t going to be the real value of the MBA. Instead, it’s really about the connections. So if you’re like me trying to really solve the aches and pains vis-a-vis B2B technology, it’s great to know I have friends and business school connections at companies of all sizes across the world. Essentially, I have some great prospects to ask questions or test out ideas. At the end of an MBA program, you’ve got a great foundation of all the major business functions. What’s that mean? Well, for one, you know how to talk the talk, walk the walk, you can blend in with the rest of the corporate suits. That then enables you, as an entrepreneur, chameleon-like powers to be able to blend in with potential customers! When we think about customers and how to really sell or even build a product for them, it’s all about empathy and credibility. You can get some empathy points with a corporate client when you know how companies really work. How does pushing that button or pulling that lever in marketing affect operations at the warehouse? How does inventory play in accounting? Big corporations drive the world even though small companies really employee the lion’s share of the workforce. (Think how big companies lobby and influence government policies. If small companies worked together…) With that, education is still highly valued in big corporations meaning that little sheet of paper gets you in the door as an employee or as a vendor. Building a startup is like getting the theory behind the practice. Except, you’re also getting the practical lessons. In business school, I learned all these marketing terms, all these little financial models, but when we were building Body Boss, we organically built out the marketing mechanisms. We learned and adapted our sales strategies that was otherwise just talked about in case studies. With Body Boss, we built our own pipeline tracker and indeed, our own crude CRM. We weren’t just handed SalesForce at a major company to run with it. We now understand why we tracked various marketing and sales activities and why and how we employed drip marketing. You give us a powerful technology like SalesForce or PipeDrive, and that just becomes an accelerator for us. We’ve lived and learned from the bottom of theory, and we’ve lived the practice. I went into Emory’s Goizueta Business Schoolto help augment my otherwise entrepreneurial/ freestyle consulting style with some structured approach. I have no interest in really sticking to one of those extremes of being wholly freestyle and entrepreneurial or highly structured. Instead, I’m trying to adapt a style between the two that fits me. Startups, as they get more successful, are startups for only so long before they feel the pressure of implementing some structure. Facebookis NOT a startup anymore, but credit to them for enabling a culture that still feels entrepreneurial. Other large corporations like IBM, GE, etc. were once startups, too. However, those corporate policies, operations, etc. are adaptations over time to sustain growth and support existing customers. With an MBA and some corporate experience behind you, you get to leverage some structure to the entrepreneurial spirit to get the best of both worlds. I’ve seen plenty of people who have MBAs, and they’re wallowing in the pits of large corporations. I’ve seen MBAs be highly successful in startups. Does it all really matter? Nah. Instead, all about the mindset of the individuals and their drive. If you can leverage your background in a way to better understand the world and your market, your employees, your community… you can position yourself to succeed. If anything, I think that’s what any opportunity presents you with – positioning. Be it startups, an MBA, a techno-blog write-up, an introduction into a company, or an interview. How will you use your background to succeed? That’s how I view it. How do you think education (and level of) plays a role in your job? What do you think you have in terms of [“requisite”] experience to be entrepreneurial?